Purse Keys and Babies: Thank you for the nomination, Niki! Thank you for the nomination, Niki! 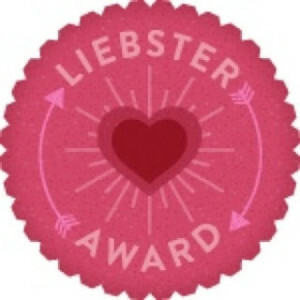 Yikes, I was nominated for Liebster Award by Niki at Dreaming is Believing. Thank you so very much! 2. I am very impatient person. 3. I often play a music while doing my chores. 5. I love it when my husband takes good care of me, like untangling my very long hair. 6. I hate being called " The Island Princess". 7. I am the most stubborn woman. 8. My favorite seasons are Fall and Spring. 9. I cry so easily... so basically that makes me a Drama Queen?! 10. I love watching old couples HHWW (Holding Hands While Walking). 11. My biggest fear in my whole life; SNAKES and WORMS. 1. If the world was ending, what would be the last thing you would want to do? Call my family in the Philippines, and tell them how much I miss and love them, I would hug my husband and babies very tight. 2. Favourite person in the world? My goodness... forgive me, lady. I would have to say my whole familia. 3. If you could be someone for one day, who would you want to be? 5. Favourite part of the day? 6. Best food you have ever had? 7. Biggest mistake in your life? There's this behavior of me that has crossed the line and turned into rudeness and disrespectfulness to my parents. OMG, It's The Walking Dead! 10. Magazine or good book? It depends. I am actually a Victoria's Secret Magazine collector, and also have quite a few good books. new follower from the hop, would love a follow back. Thanks for stopping by the blog hop!